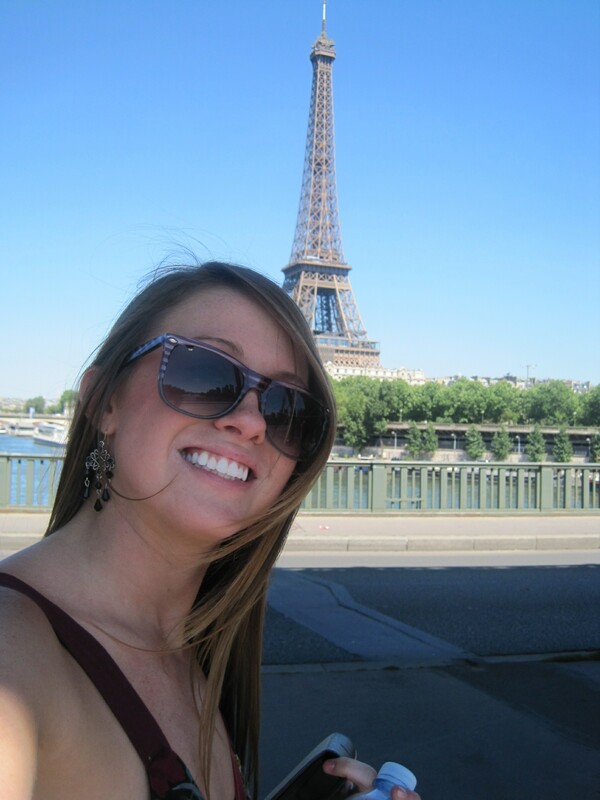 Here I am a few days ago on our "American in Paris" scavenger hunt across the city on the 4th of July! I am currently doing the study abroad program through the University System of Georgia (USG) in Paris, France! I am having so much fun and learning so many things about the European culture. The class I’m taking here is Cross Cultural Communication and it couldn’t be more fitting for this trip because not only am I learning about different cultures in the classroom, I’m actually experiencing it everyday! So far I am loving Europe! I bet Rome was beautiful, I would love to travel there as well but all the trains to Spain and Italy are full because it is vacation month for the people in France so it’s extremely difficult to book seats. I have been seeing and learning something new everyday and it was overwhelming at first but I am getting used to it now, I can’t get enough! I haven’t been doing much drinking; the metro closes around 12:30 A.M. on weekdays and some stay open until 2:00 A.M. on weekends, but I’m afraid to get so intoxicated and stranded without a way home. Plus, I’m in a foreign city where I don’t speak the language and I don’t want let myself get lost or wind up with the wrong group of people. Some of the members in our study abroad group have made some bad decisions so I’m learning from their mistakes that I’d rather take advantage of every second I’m here and not spend the days hungover.. Thanks so much for the comments Charlie! I hope you’re enjoying yourself this summer and hopefully we will have more classes together in the Fall! That is so cool! I took intercultural communication this spring and I really enjoyed it. I could not imagine taking cross cultural communication while being in a totally different country! I bet it is amazing. I have never been out of the country and traveled but it is something that I have always wanted to do. My best friend just spent this past spring semester in Tilburg, Holland. She loved it and didn’t want to come home. Enjoy the time that you have there because you never know when you are going to be able to get back. Take lots of pictures of the hot air balloon ride!